SEATTLE — Last year, the University of Washington Men’s Basketball program had their biggest turnaround season in conference play since the early 80s, jumping from 2-10 in the in 2016-17 to an impressive 10-8. This success can be attributed to head coach Mike Hopkins’ zone defense and the individual success within it. Matisse Thybulle almost missed the opportunity to succeed under Hopkins. Former UW head coach Lorenzo Romar was pivotal in Thybulle’s recruitment to the school, and, following Romar’s firing after a 9-22 season, Thybulle considered making a change himself. However, Thybulle found something in Hopkins and the youngster opted to stay and play his junior year in Seattle after having a meeting with the new coach. No one experienced more success in the new defensive system than Thybulle. Thybulle’s campaign last season earned him the Pac-12 Defensive Player of the Year title, and it’s easy to see why—he led the team in blocks and set a new school record for steals. After his first two years were spent in schemes that didn’t fully utilize his seven-foot wingspan, he’s now found himself interrupting passing lanes and contesting shots from all over the floor. But it’s not just defense that makes Thybulle special. Beyond being an absolute menace on the defensive side of the ball, he has the ability to put up points. While fully having the physicality and awareness to drive to the basket, he also has tons of range. Thybulle led the Huskies in three-pointers last year, shooting 36 percent. With all of his athleticism and intensity on the court, he does occasionally wind up in foul trouble. Screaming from coast to coast and contesting a ton of shots will put the other team at the charity stripe from time to time. However, he did manage to cut down on fouls from his first two years at the school, cutting an entire personal per game off of his freshman year. 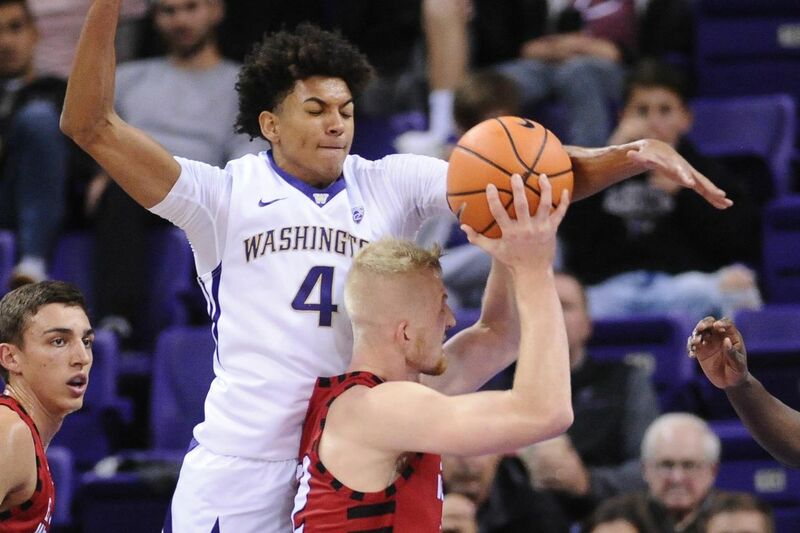 There is a whole lot to look forward to from the Huskies coming into the season, but what Matisse Thybulle’s senior year shapes up to be is at the very top of my list.